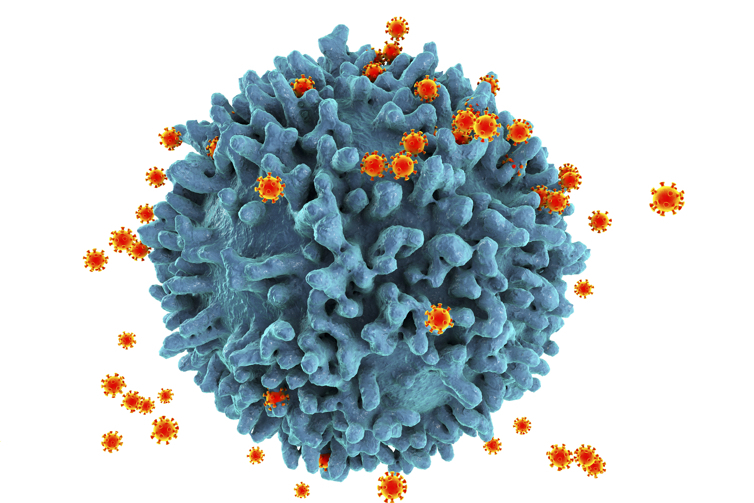 AELIX Therapeutics HIV Vaccine program is based on an innovative T cell vaccine immunogen design that directs the body’s immune defense to the most vulnerable parts of HIV. This immunogen, named ‘HTI’, was designed by Dr. Christian Brander, Co-founder and CSO of AELIX Therapeutics, and co-workers. It is based on the observation that T-cell responses to certain HIV regions are enriched in individuals with enhanced natural control of their HIV-infection. The HTI immunogen brings these beneficial regions together in a single vaccine immunogen sequence. The HTI sequence design is driven by immune data from close to 1,000 individuals living with HIV-infection from four different cohorts on three continents (Mothe et al. 2011). These large datasets help avoid bias in the final immunogen sequence due to particular host genetics. The HTI design does not rely on assumptions as to the importance of conserved viral gene sequences either, as it is based on functional immune data. However, many segments in HTI turn out to be highly conserved and thus cover large proportions of the global HIV diversity. The predictive power of HTI directed T-cell responses on virus control in vivo has been validated in unrelated cohorts and through sub-studies in samples from earlier vaccine trials, such as the STEP trial (Hancock et al. 2015). Furthermore, preclinical data show that immunisation with HTI in mice and macaques elicits strong and broadly directed T-cell responses that have been associated with HIV-1 control in previous human studies (Mothe et al. 2015).